“I began the work of HOINA in April 1971. In 1969 I had a serious illness and suffered from pollution poisoning. This was leading me into Multiple Sclerosis. I was losing my sight, hearing and speech. I began to fast and pray a beg God to spare my life and allow me to raise my son and daughter. On April 29, 1971 I had a vision of the work. I was to be used to establish a home for Indian children. I thought I would help American Indians. My attempts to help American Indians were met with much resistance. They did not want Anglos like me raising their children. In 1975 I met an East Indian from Andhra Pradesh. We organized ourselves as a non profit organization. Another India Doctor suggested I visit India. I went in August and did the legal work for the first HOINA child. She came to American and lived with by family. I walked the streets of Madras and saw the plight of poor children in the slums. When a family offered me a drink of water, I took some. Within hours I had a raging fever, cholera and bacillus dysentery and giardia. I lost 12 kilos in 2 weeks and began dehydrating. The Doctor told me to make my peace with God as I was dying. I never thought I would return to India but I remembered my promise to God. If he healed me of M.S., I would do whatever He showed me to do and make any sacrifice. I had met a man who worked for the Salvation Army. In 1978 I gave him money to rent a house for $15 a month. I took a job as a teacher, saved my money and used it to pay the rent and food. We took in 7 children. By the end of the year we had 25 children. We set up a trust under the Indian Trust Act. In 1979, HOINA purchased 1.75 acres of land in Tamil Nadu, South India. In 1981 a larger home was built with the help of Lions Clubs International and the Lancaster-Lebanon PA Lions Club District 14D. The home has continued to grow and currently houses 106 girls from infants to young adults. The girls attend local schools, trade schools and Universities. In 1982, another home was rented in Bapatla, Guntur District, Andra Pradesh. 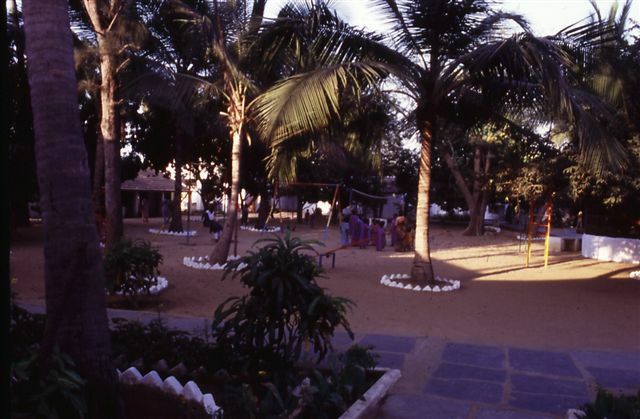 In 1990 there was a severe cyclone and much of the property was destroyed. We purchased another property and began moving the children to our new location. 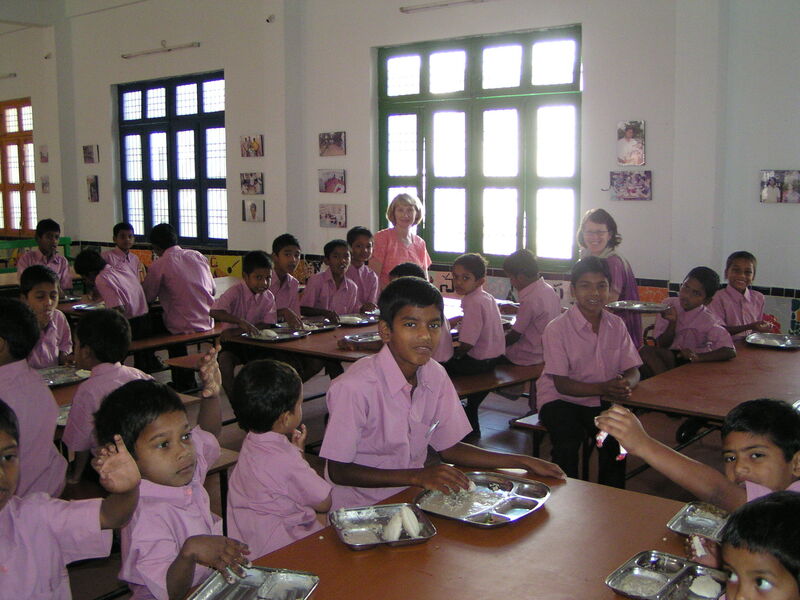 A school was added in 1994 with the help of two Rotarians. The school was open to children in the community as well as the HOINA children, with 170 boys attending. In 1998 we began operating a native language school in a rented building across the street from the hostel. We had run out of space in Bapatla and began looking for a new location for the boys’ home. In 1982 we also began medical service and a clinic, providing medical services and medicines free of charge to 27 villages. In 1993, the village elders of Pandarangapuram donated 7 and one half acres of land to us for medical services in their village. We constructed a clinic on this site, and provide services and special camps. Severe cases for hospitalization are referred to the nearest community health centers and district hospitals. An Air Force captain sitting next to me on the train suggested I look around Visakhapatnam. There were many tribal groups in this area in need of help. 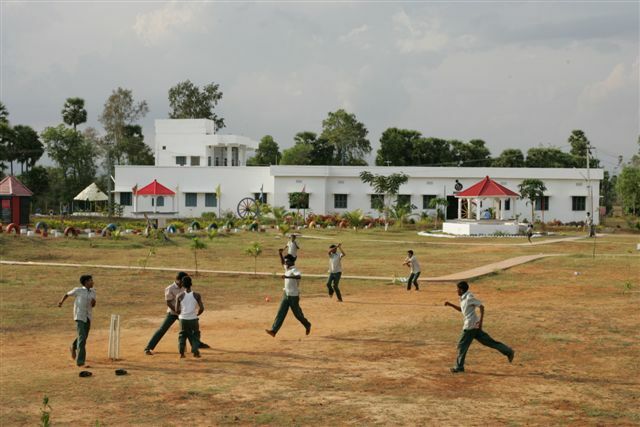 20 acres was purchased in 2001 in Kothasunkaranpalem, near Kottavalesa Mandal in Vizianagaram District. A new boys’ home was completed in 2004. In addition there is a playground, gardens, and livestock. Over 100 boys live at this home, and attend local schools in the area. When the tsunami hit southern India in Jan 2005, many older widowed women found themselves destitute and homeless. HOINA began providing one hot meal a day to these women at our Pondarangapuram property. With this program in place, we noticed a decrease in the number of visits to our clinic. This program continues today and is called the Grandma Lunch program. Beginning in 2000 a group of Schreyer’s Honors College Students from The Pennsylvania State University have traveled to the HOINA homes each summer to participate in a service learning project. Each group returns to the US with a new understanding of the world and a deep appreciation for what they have. 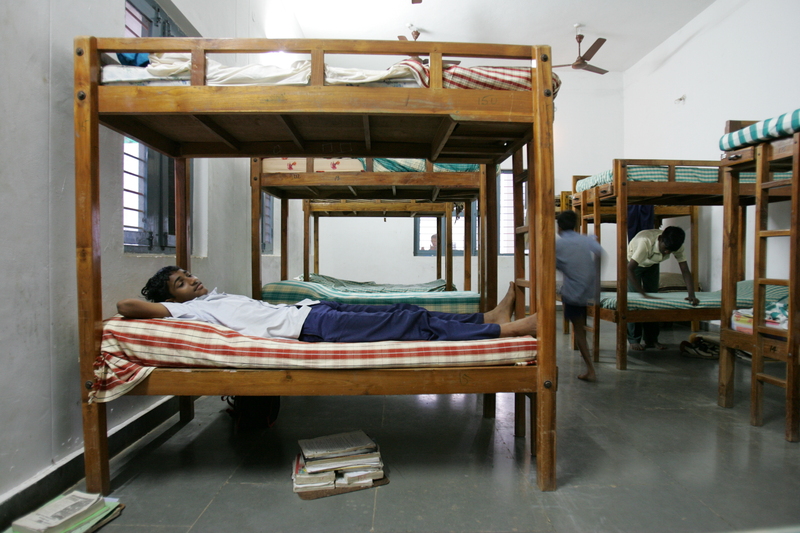 Since 2005 we have expanded our facilities with the construction of staff housing at the boys’ home, and an activities center at the girls’ home. In 2008 construction began to consolidate the boys’ and girls’ homes on one property at the current boys’ home location. In April 2009 the girls moved to the Kothasunkaranpalem campus and the home in Chennai was closed.